You’ve got a website, and you’re using social media to engage online audiences. 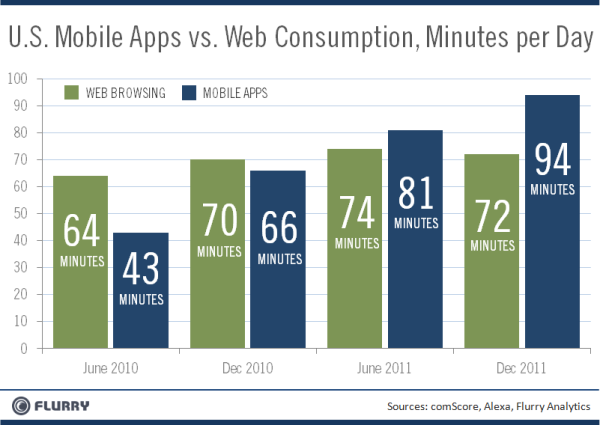 Do you really have to engage audiences via mobile devices? 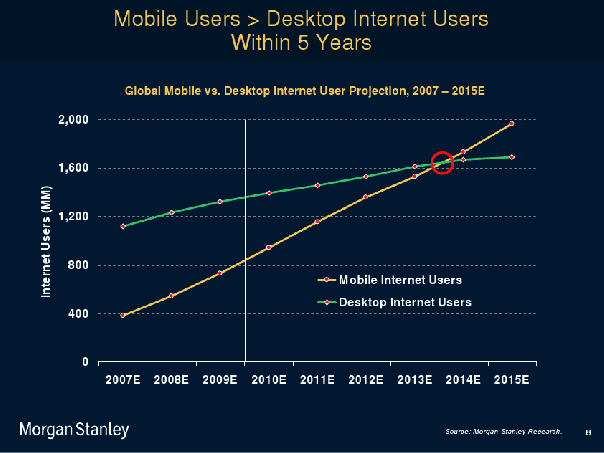 In 2009, researchers at Morgan Stanley released a report forecasting that by 2014 more people will be accessing web content via mobile devices than by laptop or desktop computers. By the end of 2011, we can see the evidence of this prediction coming to fruition when we look at the average number of minutes per day Americans spend on internet browsing vs. using mobile apps. 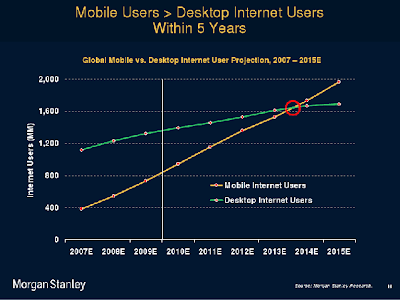 So if we acknowledge that people are starting to use the mobile internet as much or more than desktop internet, then it only stands to reason that we need to think about the mobile internet user’s experience. When smartphone users go to standard websites, they have an experience that is not optimized for them. The standard website is reduced to fit on screen so that nearly any text on the site is illegible. The user has to pinch, expand, and slide the screen around in order to read the text and navigate to the content they seek. It makes for a frustrating experience. 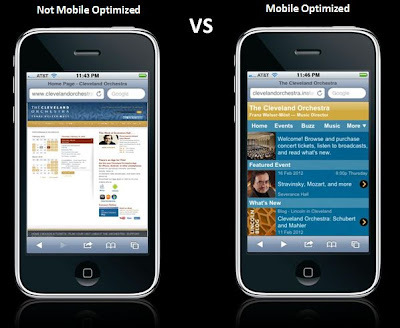 Mobile websites and mobile apps isolate the content that is most likely to be of interest to mobile audiences and display it in a manner that is optimized for smaller, touch-based screens. If artists and arts organizations wish to remain relevant as mobile internet usage continues to grow, they must provide content to mobile audiences in a manner that is designed to provide them with an optimal experience. In part II of this series on mobile audience engagement, we’ll take a look at the differences between mobile websites and mobile apps.